Always wanted to have a working holiday visa in Australia, but you missed the age bracket of 18-31? Well now you can! Read what the recent rule changes mean to you? This is just great, honestly this is actually wonderful. It’s not often said when talking about policy and politics in general, but common sense has prevailed and the Australian and Canadian government have come to an agreement that opens up so many avenues of opportunity for so many people. Up until this monumental change, the age limit had been 30, meaning anyone over that age could go Down Under to holiday, but they couldn’t experience working there and this comes into affect as of 1st November 2018. From the 1st November 2018, if you’re Canadian and aged between 18-35, you’re eligible to a 12-month working holiday visa in Australia. This used to be only available up until the age of 30, so if you thought you were too old after turning 31, well you’re in luck. Just like starting school, your first job, university, a working holiday is an incredible opportunity to be thrown out of your comfort zone, on to a journey where you will inevitably make friends, learn valuable lessons about yourself and create memories for a life time. When you go on holiday, or even travelling, you often think ‘it would be great if I could stay a bit longer’ and that’s the opportunity a working holiday gives you. A working holiday in Australia allows you to snorkel, swim and catch sunset after sunrise after sunset before settling down to work for a few months in the town you loved most. You can even extend your working holiday for a further year by completing 88 days of rural work, giving you a further 12 months. You can travel for a month, work for 3 months and repeat two more times if you please. The best bit is, the work part doesn’t feel like the normal 9-5 slog of a job in a place you’re so familiar with. You’re in a new town with new people and there’s that constant buzz of discovering new things. Every weekend can be spent exploring a new suburb, national park, watering hole or if you’re feeling fancy, vineyard?! You know that beautiful balmy evening feel that you encounter when you go on holiday? Well that’s every single night of the week when you finish work. It really is a working holiday in every sense! Then there’s the experiences you encounter on a working holiday. Firstly there’s the experiences on the travels, you could be watching sunset at Uluru, watching 500 penguins come in at Phillip Island or Scuba Diving the Great Barrier Reef. Those are some of the countless things you could experience but there’s also something to be said about new and sometimes whacky experiences in the work place too. You could go from bartending at the local pub to serving drinks at the Sydney Opera House? Or you could even be doing something way out of left field like driving a tractor, pruning a vineyard or working at a camel farm, who knows? These are all character building experiences that you’ll recount the stories of forever. It doesn’t have to be a fancy or random experience either. It could just be the people you meet, and more often than not that’s what makes a working holiday. The people you laugh with, drink with and sometimes even conquer fears with are the ones that make your working holiday so special. 2018 is a completely different landscape for our generation and the ones to come. Our professional lives and the way we live them has diversified and this change is a fantastic recognition of that. So many of us have careers and life plans and paths that change, and 31 really isn’t that old anymore. Until 2 months ago the powers that be were saying that 31 is too old to do a working holiday but now it’s not, a whole new door has opened. One that you should kick open and walk straight through. 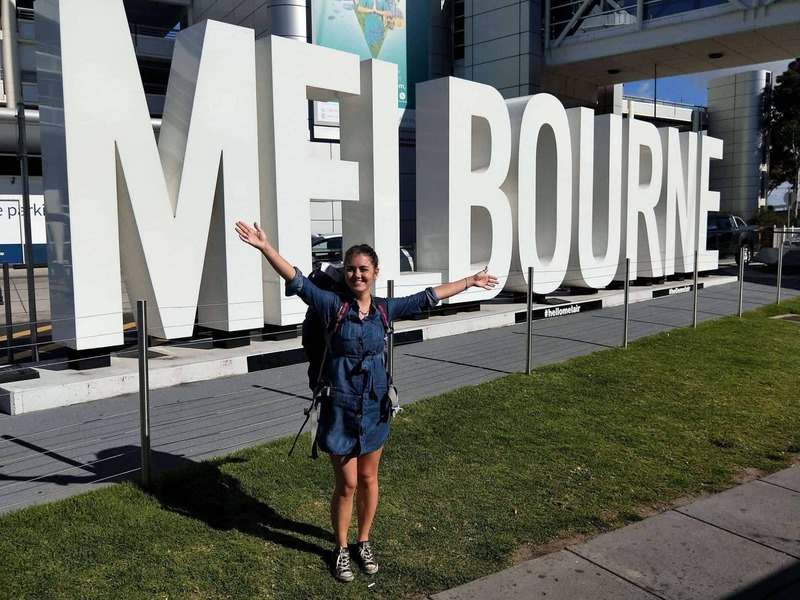 Getting my working holiday visa in Australia was the best decision I've ever made. Getting to travel across the world, meeting people from all over, while making potentially more money than at home is why I loved Australia . Did I mention I did this all while living next to a beach? If you’re thinking about a WHV in Australia but just haven’t committed to it yet...GO FOR IT! My time in Australia shaped and changed me into the person I am today, and gave me lifelong friendships with people from all over the world. There’s really no other place like Australia - go see for yourself! Originally from Scarborough, England he has settled for the more laidback Australian lifestyle and has been living here since 2010.